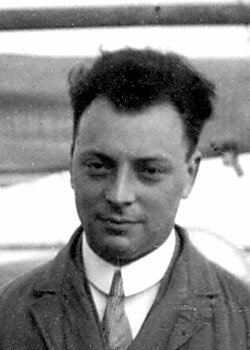 Wolfgang Pauli was an Austrian-born physicist who was awarded the 1945 Nobel Prize in Physics for his discovery (in 1924) of the exclusion principle. Pauli attended the Döblinger Gymnasium, in Vienna, then, in 1918, went to the University of Munich where he received his doctoral diploma in theoretical physics in 1921. His supervisor was Arnold Sommerfeld. He spent the winter term 1921-1922 as an assistant of Max Born at Göttingen University, where he met Niels Bohr for the first time. After a summer, as assistant to Wilhelm Lenz at Hamburg University, he was invited by Bohr to the University of Copenhagen for a year. Here Pauli's research and interest in the anomalous Zeeman effect culminated with the formulation of the exclusion Principle. In 1930, Pauli, by then a professor of theoretical physics at the Swiss Federal Institute of Technology, proposed the existence of the neutrino. The Pauli exclusion principle is a fundamental rule in subatomic physics which states that no two electrons, or other types of fermion (governed by Fermi-Dirac statistics), can occupy the same quantum state at the same place and time. In terms of the atom, this means that at most two electrons may occupy the same orbital (the two having opposite spin). In a system of fermions, the lack of empty neighboring states often prevents most particles from contributing to the system properties, which thus depend only on the states bordering the filled ones – the so-called Fermi surface. The exclusion principle prevents white dwarfs that are below the Chandrasekhar limit from collapsing: the electrons are squashed together to form electron degenerate matter, which resists any further attempts at compression.